It is steam distilled from the aerial parts including the juniper berries and twigs. There are over 50 species of Juniper grown throughout the world so it can be a bit confusing when choosing a juniper oil to work with! The essential oil that I am most familiar with and personally use contains two different species: Juniperus osteosperma (Utah Juniper) and Juniperus scopulorum (Rocky Mountain Juniper). They mainly grow in Southwestern United States although the one I use the species are both grown in Utah. Most of us associate juniper with our favorite distilled gin, since it is what gives gin its flavor! 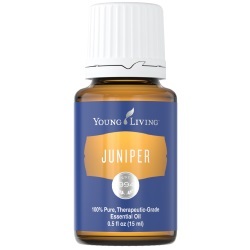 My favorite blends that contain juniper essential oil are Di-Gize, Into the Future and Ortho Ease (massage blend for soothing muscles discomfort after exercise). They are fantastic oils and I use them every day at home and at the barn for the horses. The horses love the oils! 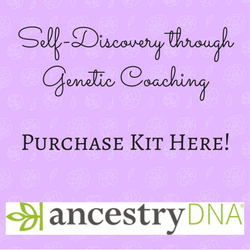 Want to Purchase Therapeutic Juniper Essential Oil? Go to the Oil Shop! Buy Juniper Oil Here! What is the Genus Species? Juniperus osteosperma (Utah Juniper) and Juniperus scopulorum (Rocky Mountain Juniper). Why is this information important? There are several species as indicated in the introduction. So, it is always best to purchase your essential oil by common name and genus species so you know exactly what you are getting! Where is the name derived from? Juniper is derived from the Latin word "juniores" meaning "young berries". Did you know that juniper berries have been found at prehistoric sites in the Swiss Lakes? Yes, juniper was definitely one of the first plants used by mankind! What are the Plant Properties? Cleanser, detoxifier. What is the Aromatic Affect on the Mind? Its sweet and musky aroma is elevating and creates a feeling of peace. What is the Spiritual Influence? This oil helps us release thoughts of suppression, insecurity and anger. These negative thoughts hold us back from aligning with our spirit and developing a deeper divine consciousness. When our chakras align with the divine, we also align and connect with our soul group. This creates protection and security at a very deep level for our soul. And allows us to move forward with a feeling of support and love from source. What Chakra is Affected? The root, solar plexus, third eye and crown chakras align and expand. It is also in several blends that I use at the barn on a daily basis. They are: Di-Gize, Into the Future and Ortho Ease. What are the Safety Precautions? Only therapeutic grade essential oils should be used for healing results. Because it is approved as a Food Additive (FA) by the FDA, Juniper essential oil is readily available on the market in many different qualities, so please choose your oil wisely! Did you know that the French call Juniper Genievre? This is derived from a Celtic word "gen" meaning "small bush" and "brus" meaning "hot and bitter"! Did you know that during the Medieval Times, bundles of Juniper were hung over doors to ward off witches? Did you know that Juniper trees protect the entrance to the Other Worlds, home of the Elves and Fairies? It is also said that juniper oil attracts more Fairies into your life!